Sigourney Weaver and Durang in their 1979-80 Brecht-Weill cabaret act, Das Lusitania Songspiel. They entered in a red wagon, parodying the opening of the Brecht-Weill opera The Rise and Fall of the City of Mahagonny, in which American capitalists enter in a wagon on a search for gold. 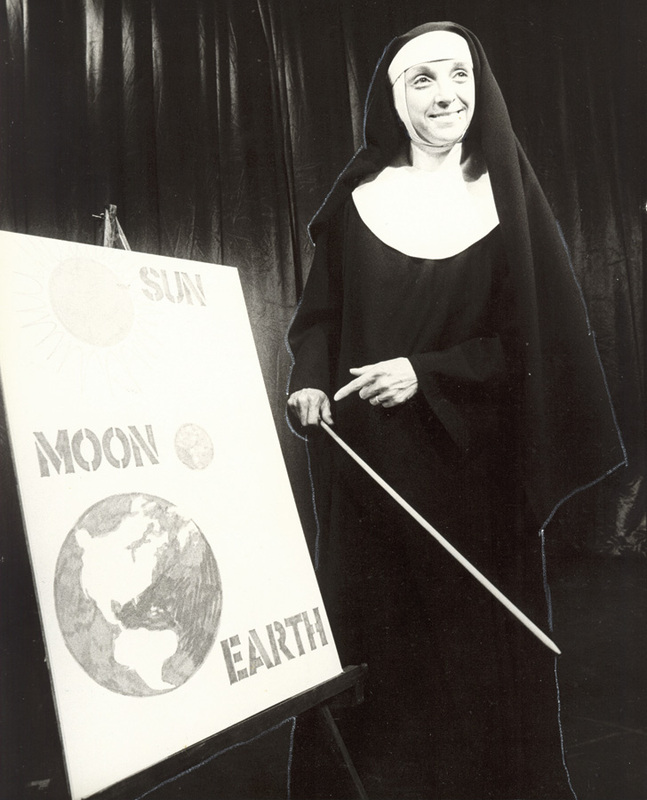 Elizabeth Franz, in the title role of Durang’s 1980 play Sister Mary Ignatius Explains It All for You, lays out some Roman Catholic cosmology. Franz and Durang both won Obie awards. The opening wedding-party tableau of Durang’s 1985 play The Marriage of Bette and Boo. Durang (in the foreground as Matt) essentially played himself. He and director Jerry Zaks won Obie awards, and the 10-person cast won that year’s Obie for ensemble acting. Here is a link to the New York Times review of Durang’s new play, "Why Torture Is Wrong, and the People Who Love Them." Nearly four decades later, Durang’s characters are still screaming and the audiences still laughing. The cries erupt from the personal trials and primal anxieties of his own life, which his stagecraft somehow turns into hilarity. (He confesses that some mornings he “feels both grateful and bitter at the same time, which is a complicated feat.”) Durang wrings laughter from his troubled family (“My parents cared for each other and I was a wanted child, but they fought so much that it was hard to be around”) as well as from a bedrock hopelessness over the absence of a caring God. Brustein, now senior research fellow at Harvard, moved his theatrical enterprise from New Haven to Harvard in 1979, and the following spring launched the American Repertory Theatre, which has staged several Durang plays. Brustein calls him “a native American absurdist” who is “really committed to the family play.” In a 1997 essay on Durang, Brustein noted that “the quintessential American drama is and has always been a family drama—a work in which the writer lays his ghosts to rest at last, making peace with his past by exorcising the dead.” Indeed, many critics have compared The Marriage of Bette and Boo, which Brustein calls “a masterpiece,” to another great American family play, the far-less-jocular Long Day’s Journey into Night by Eugene O’Neill. As an only child amid a turbulent family, Durang must often have hoped for some kind of rescue, but actress Sigourney Weaver, his friend since they were classmates at Yale, isn’t sure that “a cry for help” really captures his outlook. “Maybe a yodel for help?” she suggests. His father, F. Ferdinand Durang, was an architect—and one of many alcoholics on both sides of the family. 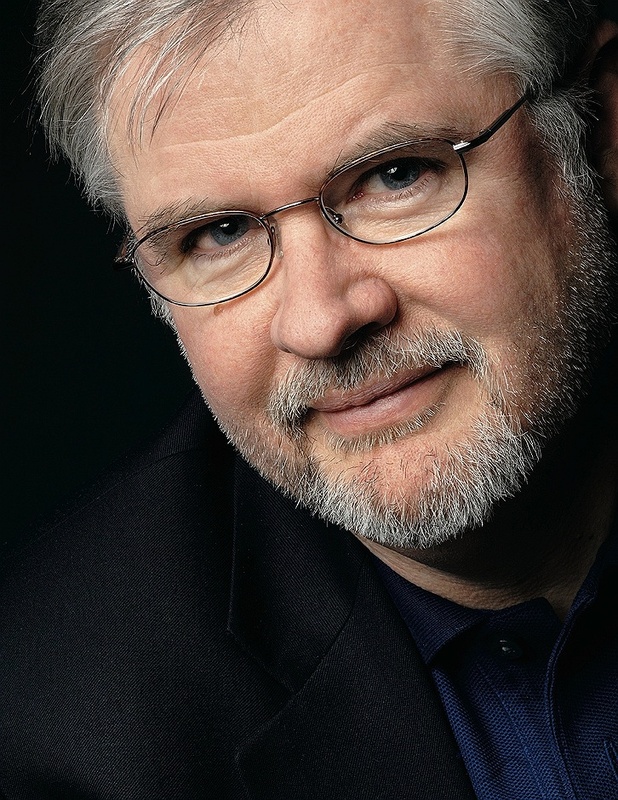 “I felt like I was living in ‘Alcoholics-a-Poppin,’ ” Durang says. “Some got into AA, some were dry drunks. People who aren’t alcoholics have their own convoluted reactions to it. As a child I perceived that nothing in life worked out—nobody was able to solve any problems.” Durang’s mother, Patricia, who worked as a secretary at Bell Labs, had a way of prodding her drunken husband into fights; the couple separated when Durang was 13, to his great relief, and finally divorced when he was a college freshman. Yet both sides of the family also valued the arts. “Ferd” Durang came from a long line of architects, and as far back as the 1700s the Durang clan had also produced actors, performers, and dancers: The Memoir of John Durang [1768-1822] is one of the earliest written journals by an American actor. Family members would speculate about whether young Christopher would go into architecture or theater. “They were very encouraging,” he recalls. His mother talked about theater a lot, and took her son to shows in New York (he recalls funny songs in fiorello) and to the Paper Mill Playhouse in Millburn, New Jersey, to see Betsy Palmer in The King and I. At the age of eight, Durang announced that he was going to write a play, and produced a two-page comedy based on the “Lucy has a baby” episode of I Love Lucy. His mother showed the tiny script to Durang’s second-grade teacher at Our Lady of Peace School, who decided that the class would take an afternoon o and put it on. “I got to choose the actors,” he recalls. “It felt very fun.” He kept turning out plays, with longer and longer scripts. At the Delbarton School, a private, all-male Benedictine secondary school in Morristown, New Jersey, Durang collaborated with his classmate Kevin Farrell on two musicals produced there, and, with Patricia Durang’s persistent backing, at a community theater, the 50-seat Summit Playhouse. A slight brouhaha ensued after the first Delbarton production when nuns from a private girls’ parochial school nearby forbade their students to act in any more Delbarton shows after witnessing a mildly risqué gesture—a strap dropping off a shoulder—in the first musical. On entering Harvard, Durang received the Jack Lemmon Scholarship and as a freshman wrote, directed, and acted in his first “dark” play, Suicide and Other Diversions, at the Loeb Experimental Theater, with Bonnie Raitt ’72 in the cast. Yet auditions at the Harvard Dramatic Club didn’t land Durang any roles: “I began to feel that I must not be that good an actor,” he says. He moved toward musicals at the Agassiz Theater and as a sophomore sang in the chorus—Durang has an excellent singing voice—of How to Succeed in Business Without Really Trying. That letter went into Durang’s Yale application, along with a new play, The Nature and Purpose of the Universe, about “a housewife whose life is hell—then God sends down two angels to make her even more miserable.” He took the title from a grandiloquent pamphlet Harvard published amid the student unrest of the late 1960s, “The Nature and Purpose of the University.” Durang at first misread the last word as “universe,” thinking, “They have a pamphlet on that?” The play won a contest at Smith College and was staged there. Though Yale had accepted seven playwriting students, “They threw out nearly everyone except Chris and me,” says Innaurato. “They spoiled us a lot; they let us do what we wanted.” That included responding to a museum’s invitation for a theatrical piece on William Blake and Thomas Gray by reading some of the poets’ work in a museum gallery, then declaring that Blake and Gray had met on a summer-stock tour of The Glass Menagerie. Innaurato and Durang proceeded to portray the poets as two of that play’s female characters, with Innaurato dressed as a high priest and Durang in a cassock. This somehow segued into Sunrise at Campobello, with the two men, still in clerical costumes, playing Eleanor and Franklin Roosevelt, who decide to celebrate a mass and sing Kyrie eleison to the tune of Cabaret’s opening number, “Willkommen.” The museum “tried to throw us out for impropriety, outrageousness, and blasphemy,” says Innaurato. The pair also collaborated on a full-length play, The Idiots Karamazov, a wild, Monty Pythonesque take-o on The Brothers Karamazov starring Meryl Streep as Constance Garnett, the prolific real-life translator of nearly 70 works of Russian literature who nonetheless blurred authorial voices and dropped words and phrases she didn’t understand. 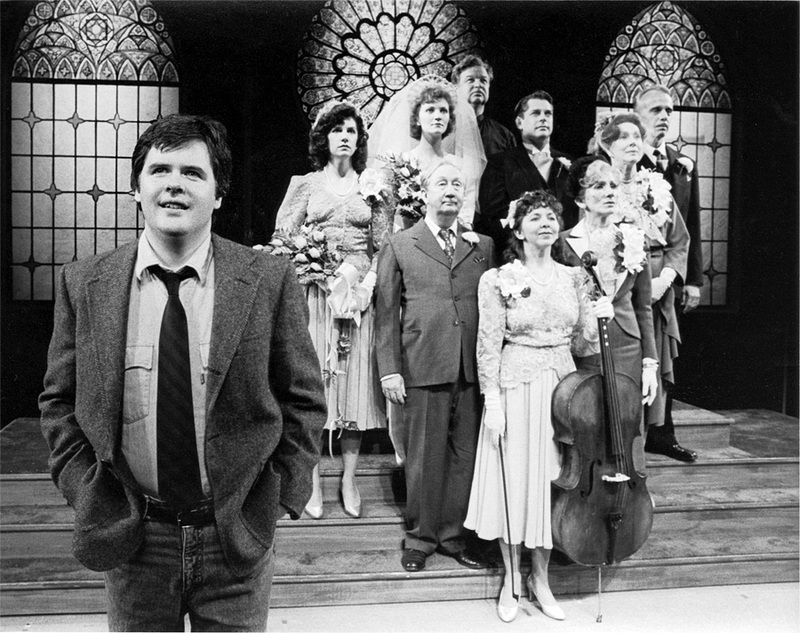 Brustein, who calls the cherubic young Durang “a choirboy with fingers dipped in poison,” admired Idiots enough to produce it at the Yale Repertory Theatre in 1974, a rare honor for a student play—“almost like winning the lottery,” says Durang, who played Alyosha Karamazov onstage and got both his first professional playwriting credit and his Actors’ Equity card. “The idea of being paid to work in theater was thrilling,” he says. Durang himself has written a score of screenplays and teleplays, both produced and unproduced. His website explains that “between 1982 and 1990, Durang wrote 3,177 versions [of Sister Mary] for two different sets of independent producers.” In 2001, Showtime finally aired it as a TV film starring Diane Keaton. None of his three sitcom pilots, such as Dysfunction, The TV Show (1990), in which family therapists consistently fail to solve the problems of their troubled client families, has made it to air. And the finished script, of course, is only a starting place: Durang, who has done a good deal of acting, is well aware of how the cast and their performances crucially determine whether such a fragile thing as comedy plays with an audience. Admittedly, there are times when “a performance goes so right that you say, ‘I wish we could have filmed it and showed it as, “This is the way it should be done,”’” he says.